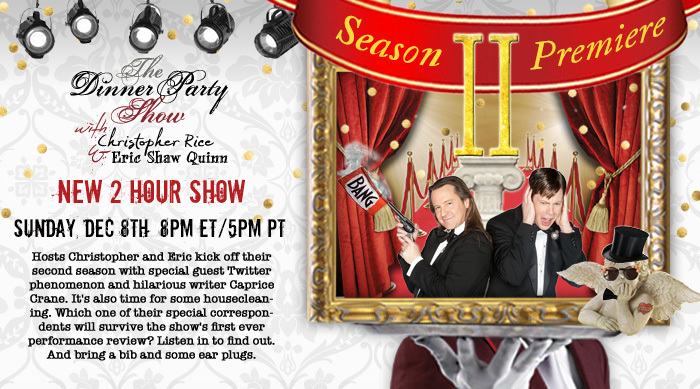 Hosts Christopher and Eric kick off their second season with special guest Twitter phenomenon and hilarious writer Caprice Crane. It’s also time for some housecleaning. Which one of their special correspondents will survive the show’s first ever performance review? Listen in to find out. And bring a bib and some ear plugs.